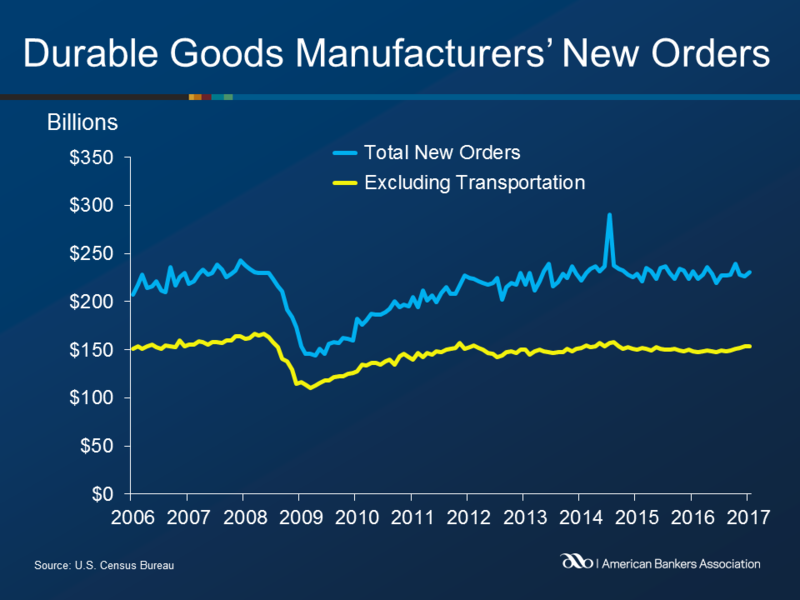 New orders for manufactured durable goods increased 1.8% in January to $230.4 billion, following a 0.8% December decrease, according to the U.S. Census Bureau. New orders excluding defense rose 1.5% on the month, as orders of nondefense capital goods increased 3.6% to $69.0 billion. Shipments of manufactured durable goods decreased 0.1% to $238.3 billion. Inventories of manufactured durable goods were virtually unchanged at $383.8 billion, following 0.1% December decrease.